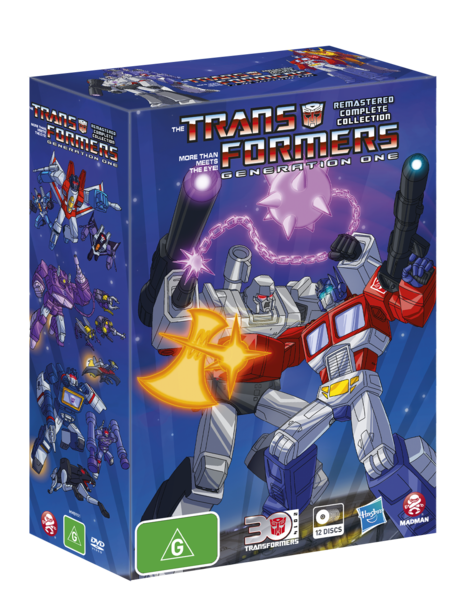 Transformers Complete Remastered Collection is a box set containing all ninety-eight episodes (all four seasons) of this classic animated sci-fi show. 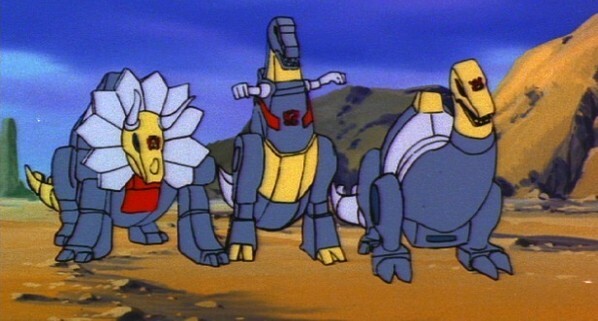 This show is about robots called Transformers who are from the robot planet of Cybertron. 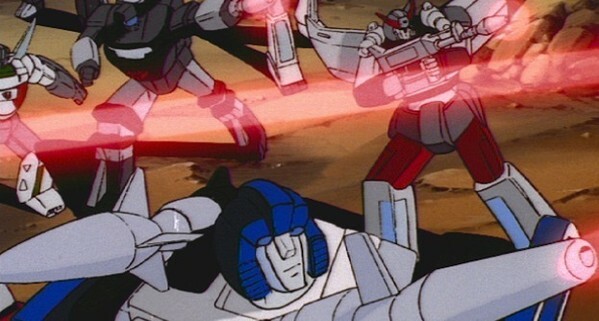 The planet is in peril due to a great war between two factions called the "Autobots" and "Decepticons". After retrieving some energon we see Bumblebee on his way back to Autobot headquarters but is chased by a few Decepticons. Bumblebee gets rescued by a fellow Autobot and they get away from the Decepticons and the Autobots take refuge in the Teletram-One (the Autobot's loyal spaceship) and take off into deep space. 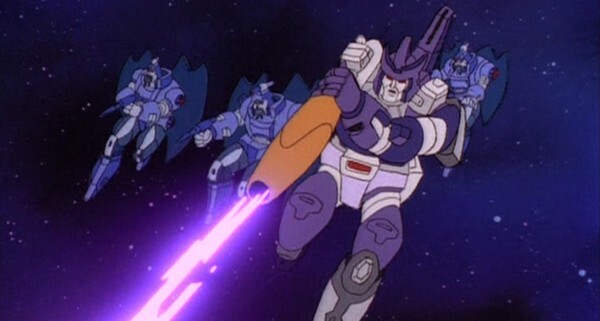 The Decepticons follow suit and chase the Autobots across deep space and catch the Autobots in their gravity beam and battle them on their ship. The Autobots lose control of Teletram-One and crash land into a volcano on goold old planet Earth. 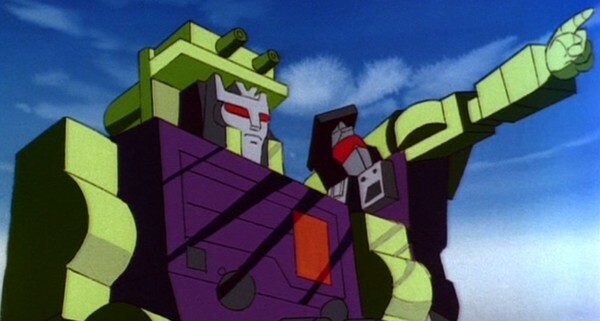 Millions of years later we see the Decepticons (whom are still on Teletram-One) awaken and repair themselves and explore Earth to look for energy so that they can build a ship and return home to Cybertron so they can rule it with an iron fist. 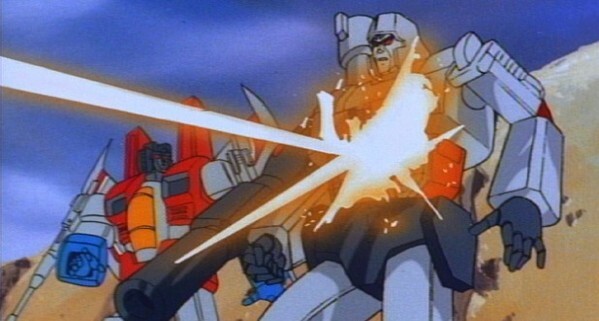 One of the Decepticons named Starscream shoots at Teletram-One to kick the Autobots while they are down but little does Starscream know that those blasts end up knocking them into a repair-bot that ultimately ends up repairing all the Autobots. 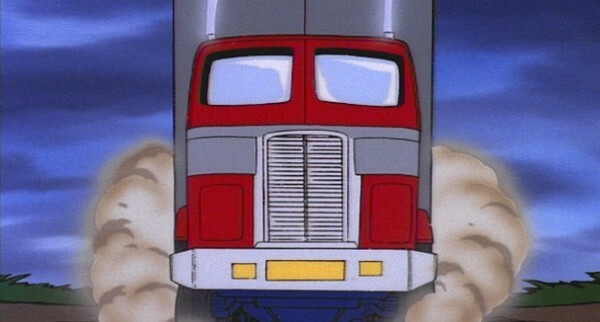 The Autobots head out to stop the Decipticons and find them terrorizing a oil rig. The Autobots manage to drive the Decepticons away and rescue some humans from getting killed in all the carnage. Autobots end up becoming friends with the humans and they recruit them to help stop the Decepticons from draining the Earth dry of all it's energy and to get home to save Cybertron. (Click "Read More" to read the full review). The second half of the series is a completely different story as in seasons three and four we flash forward to the future of 2006 (which is now ironically the past) where we see the new Autobot leader "Rodamus Prime" protecting the Transformers and Humans from not only the Decepticons but also the Quintessons. 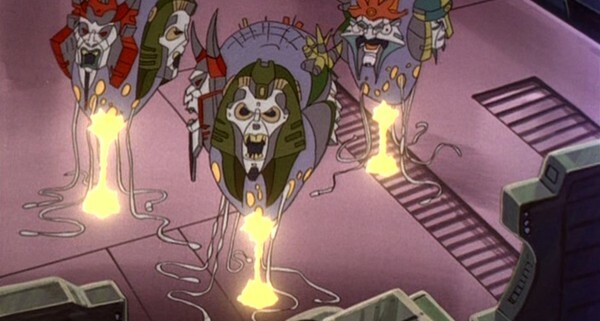 The Quintesson's are evil alien creatures with five faces that want to enslave all the Autobot's... Actually they want to enslave everything they can for the sake of simply ruling everything. 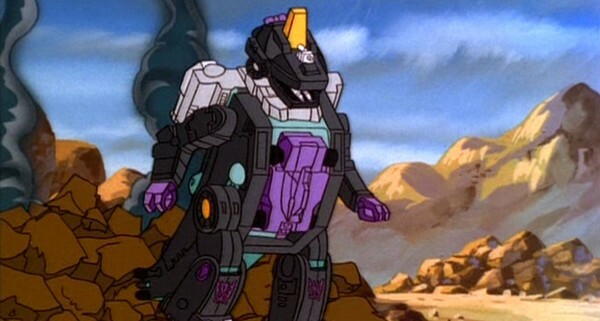 The Decepticons also have a new leader named "Galvatron" whom is more reckless and insane than Megatron ever was. 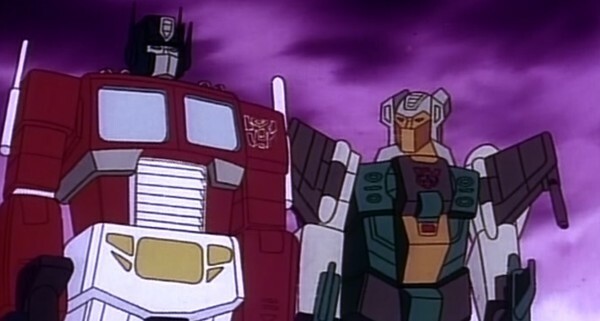 As you can probably guess this is a very episodic show held together by Megatron's plan to harvest energy. The stories in this show while a bit silly are really fun. A problem I have however is that there are points in each season where the show goes through a dry patch of average and poor episodes that last in clusters of around four to five episodes. The episodes can also be very inconsistent with information given about the characters but it also adds to the fun of this show as well and you'd be laughing and having a good time pointing them out. I do like the ways they introduce new characters into this show as they try to do it in a way that makes as much sense. When they are not doing that they just have new characters appear from out of nowhere and act like they were there from the beginning which was a bit silly. 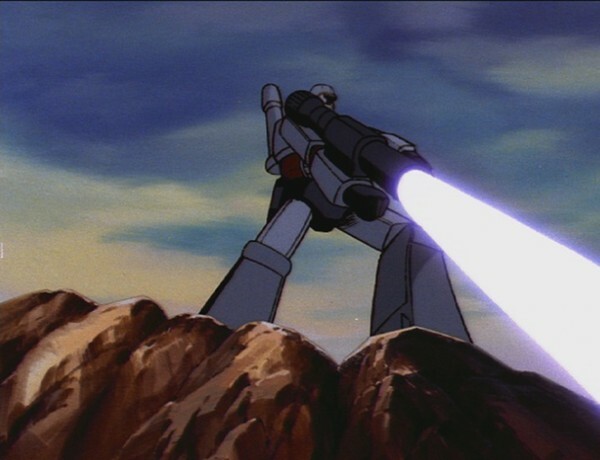 Action in this show is very exciting with some great fights between the Autobots and Decepticons and especially when they use the giant Transformers like Devestator, Astrotrain, and Omega Supreme. The humans also get their fair share of great action as you'll see some really fun chase scenes that will leave you hanging on the edge of your seat. Characters in this series are really awesome with some great personalities that help make them all stand out. The bad guys are as equally as good as the good guys in this show and I can't help but to route for both teams. The rate of great characters start to decline when season three hits and we do get some annoying ones but that doesn't mean that there isn't any great characters in the last two seasons. One problem I have with this set (and all the other editions of "Transformers Complete Collection" that we've gotten in the past) is that it doesn't come with "Transformers: The Movie (1986)". For those who haven't seen the series of movie before then this might come off as a petty complaint but I can ensure you that it isn't. The reason why I complain is that when you finish season two and jump right into season three you are bound to become very confused as there is a huge jump in the show's timeline and it is unexplained in the series. If you watch "Transformers: The Movie (1986)" however you will find all of your questions answered and the sudden jump though time won't give you a nasty headache. Artwork for the first half of the show is really good with some awesome character designs that will not only be engraved into your mind until the day you pass on but will also bring excitement every time you think about them (unless some cheeseball ruined the experience for you). Backgrounds are very nice with a mixture of basic and detailed designs that are both look beautiful. Animation in this show can be really good and smooth but there are a bunch of episodes with some really badly done animation like bad lip movements and choppy movement. I really love the voice acting in this show as the voices go together with the characters perfectly and it's also one of the most memorable dubs I have ever heard. There will be some weird moments in the show where some characters have the wrong voices but this is due to an editing problem. The soundtrack is also very classic with a nice 1980's techno-rock sound that just sends chills down my spine with how awesome it is. Quality in animation does drop down quite a bit when season three hits. You will see some choppy animation, ugly designs, and some points you will even see the edges of the art cels overlap. The cels overlapping isn't a small thing that you notice too as you will see it right dab in the middle of the screen in plain sight and it makes the show look very cheap. Character designs in the final half are also a bit off and cheap looking. There are some great designed characters but not as much as there are cruddy looking characters. Backgrounds also are very cheap looking and odd but also very imaginative and fun at the same time. English voice acting is decent and does work well with the characters however some of the voices in the last two seasons can get a bit annoying. Soundtrack is mostly the same as the first two seasons but with a remix here and there and it does sound very good. While this box set has a lot of episodes it also has a lot of special features. Season one includes: Old toy ads that aired in Australia, an "Inside the Actor Studio" styled show that has the original cast reunite (filmed in 2009), audio commentary on episode one with Wally Burr, profiles on the original cast, hours of interviews with people who have worked on the many versions of Transformers ranging from the original Transformers (1984), The Movie (1986) , Armada (2002), Robots in Disguise (2001), and they even interview people who worked on the comic books. Some of those interviews are Australian exclusive too. There is also a neat little section that contains the first episodes of other Transformers shows: The Headmasters (1987), Beast Wars (1996), and Prime (2010). This is really good for if you are looking forward to seeing what else that Transformers have to offer. Special features found in season two part one include: A special history series on all the different kinds of Autobots and Decepticons, all of the opening and closing credit sequences and even includes the Japanese version of the G1 intro that looks very awesome and will blow your mind, seven minutes of very awesome toy ads which are all censored with all the kids faces blurred out and while I can see why they did that it did end up being distracting making me think that my TV had a dirty smudge on it. Concept art can also be found which looks very nice, a seven minute fan-film that shows off computer generated Transformers battling which was decent and surprising that they would add something like that to this box set. There are also two half-hour documentaries detailing on the television show itself and the other is based on the toys and comic books and they were both really fun to watch. Season Two Part Two contains some promotional trailers for the 2004 Playstation Two game which is really nice to have, All the eyecatchers that are nice to re-watch, Concept Art and Fan Art which are all really nice to look at, and two mini-documentaries about the writer of the original Marvel comics "Bob Budiansky" and one about the franchise's fan-base. Both documentaries tell some great stories and some really nice information about the show and production. Season three + four collection may have the smallest amount of special features but it also contains some of the best special features. There is only one special feature in video form and that is all of the public service announcements. The PSA's are just plain cheesy but interesting at the same time and made for a nice little time waster. The rest of the special features are all slideshow styled ones where you navigate through the menu and look at art work. 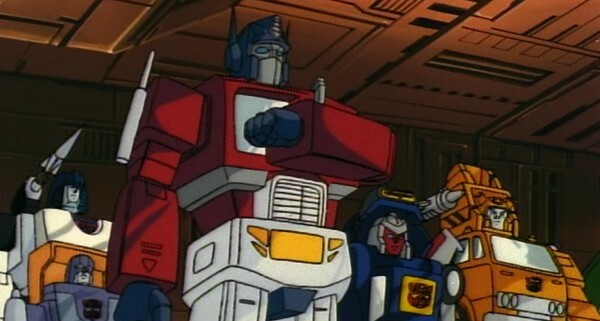 They are: Character designs and storyboards for "The Transformers: The Movie (1986)" and all of them are very awesome. There is one thing that may bother you about the storyboards and character designs which is that they all have a big red stamp pretty much saying that taking screens of those features are illegal. The last (but not least) in the special features is a DVD-Rom feature and it contains "scripts" and "series bible". This has gotta be the best special feature in this whole set as you get the scripts from every episode and the "Series Bible" contains a megat(r)on (sorry I couldn't help myself) of information and trivia that it will just blow your mind. Defiantly as valuable as getting this set for the episodes themselves. Overall this is a really great box set with a really great show and some golden special features that are just as important as the show itself. For those who have already purchased the prior "Complete Collection" sets you can put away those old tins in your glass cabinet full of Transformers collectibles (as the older Australian editions came in limited edition tins) as this edition is worth re-buying. If you yet own any G1 Transformer seasons and have been looking to buy them or if you are new and would like to get into G1 Transformers then this set is the best way to enjoy this show. Highly recommended. That is one big sexxxay box STUFFED full of Transformers.